My husband and I recently celebrated 16 years of marriage. (Here is the link to last year’s anniversary post.) As the popular saying goes, time flies when you are having fun. During the 16 years we have been married, we have watched our children grow from infants to toddler to preteens to full-blown teenagers and all the craziness that comes with each phase. We have survived each of these stages and look forward to what comes next. This year, we started the day off with a walk around the neighborhood. 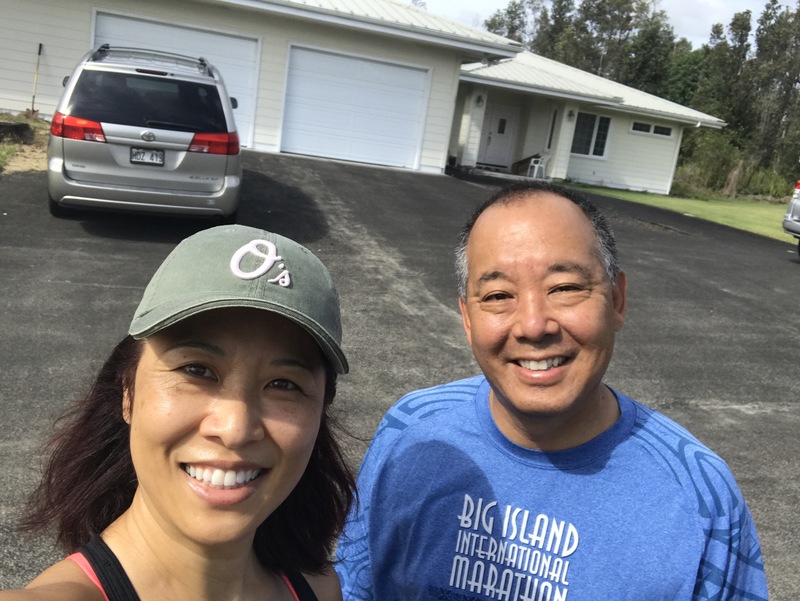 I usually have difficulty convincing my husband to go walking with me but on this morning, he agreed since it was my anniversary request. Cool knick-knacks at the accountant’s office. After the walk, we headed down to our accountant’s office and signed our tax returns. All that activity in the early morning made us hungry. Aaron had heard rave reviews about the food from Hilo Bake Company (they don’t only make baked goods!) and so we headed there to order the Smok’nMoco and the meatloaf. The two plate lunches were enough to feed our family of four–especially since there was dessert on the menu. Since I was there, to my children’s delight, I also picked up some donuts. That evening, we celebrated as a family with a wonderful family dinner at Jackie Rey’s. We started off with a delicious Caesar salad, clam chowder, and bread. 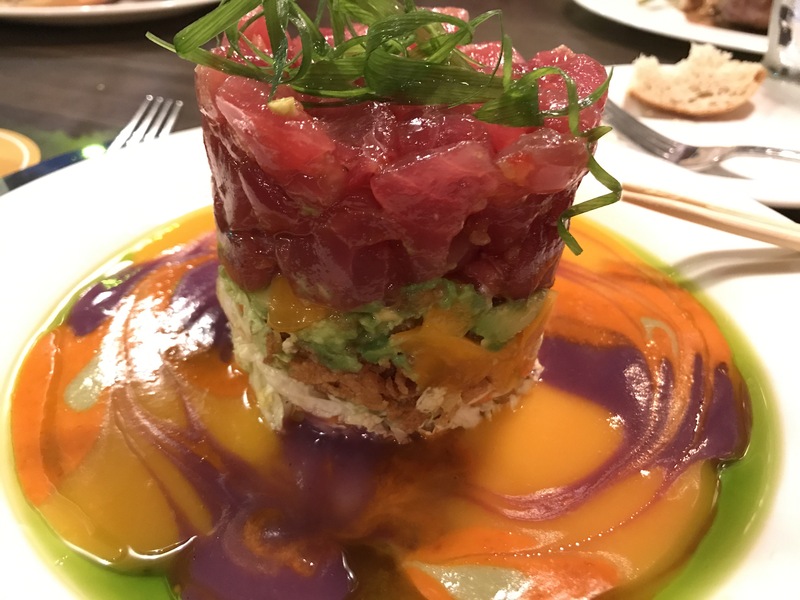 I ordered the poke tower that was yummy, but the sauce at the bottom was a bit more colorful than I had expected. The dish looked like a painting. My children enjoyed the pasta and the steak. A day spent with loved ones, some sugar, and good food. I look forward to more years of love and enjoying life. Loving Living Hilo Style. Oh my…that food looks absolutely divine and deeeliscious!!! !